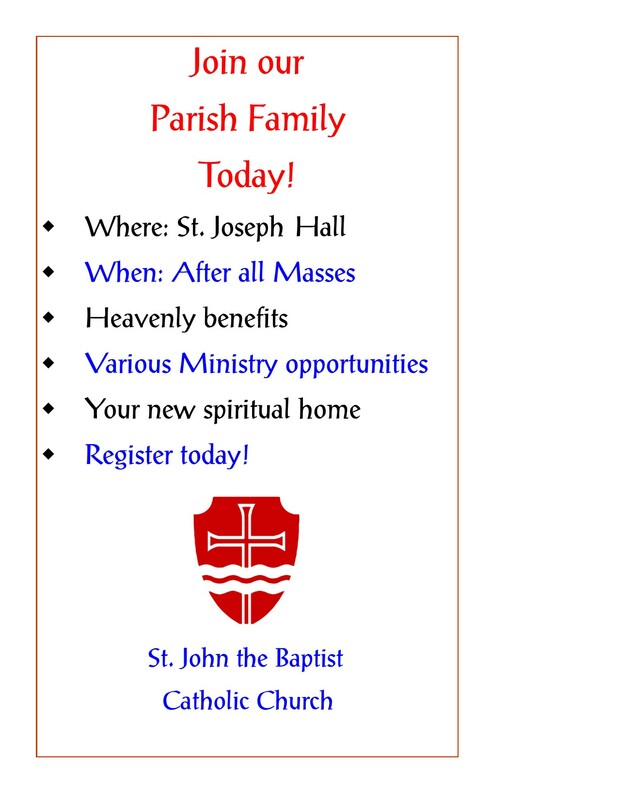 We are happy that you are considering registering to be a parishioner of St. John the Baptist Catholic Church. We would love to meet you. 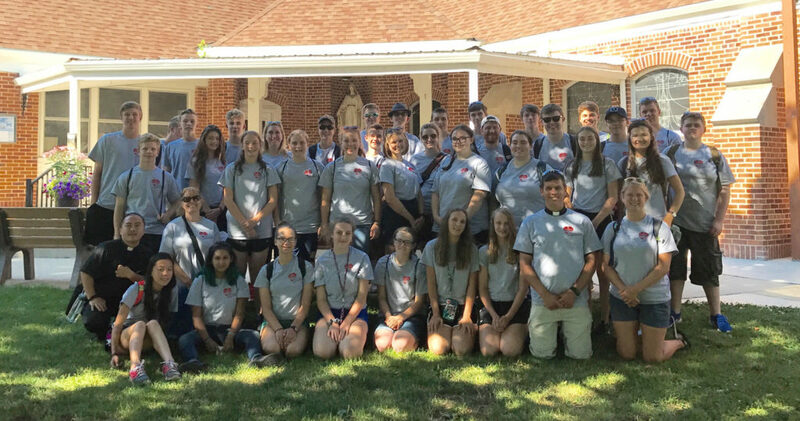 Stop by for our New Member registration/orientation, which takes place after each Mass on the second full weekend of every month. The meeting will start 15 minutes after Mass in St. Joseph Hall. All are welcome to attend. As a new member, we welcome your active participation in the life of our community and challenge you to deepen your relationship with God, make spiritual growth a priority and join a ministry or small group to feel a sense of belonging. We value the gifts of time, talent and treasure that are generously shared by all of our members. 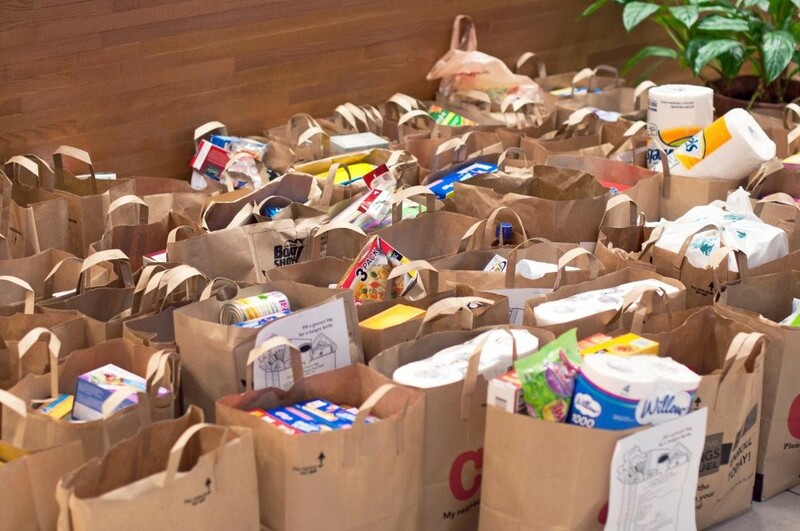 The gifts with which you have been blessed may be a perfect match to one of St. John’s many ministries and activities. 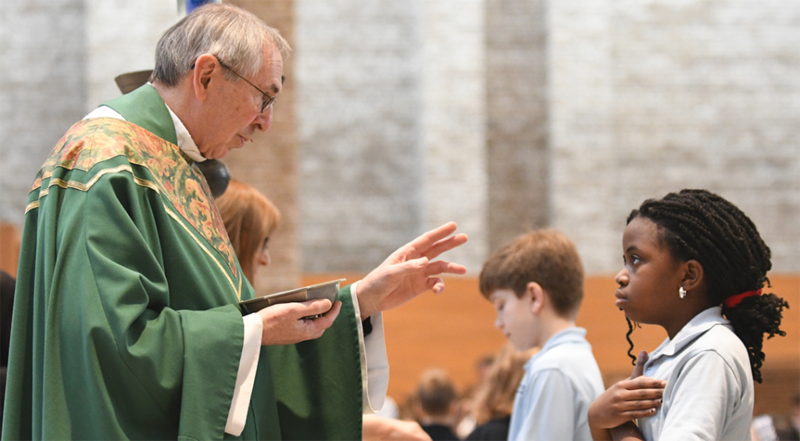 You will find many opportunities to learn, grow, give and celebrate within our community of faith.